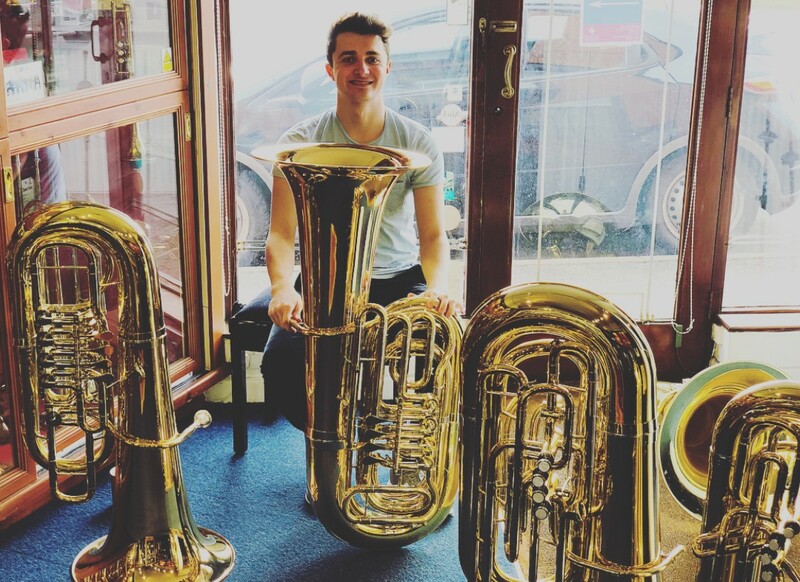 Elliott Milum was kind enough to take time out of his busy performing schedule to review the JP range of Tubas. As someone who's gone through the ranks of tubas, it's accolade indeed to be recommended by him to musicians of all levels! Elliott Milum attended the Royal Military School of Music and has been Principal Tuba of the Band and Bugles of the Rifles since 2013. As well as playing in military bands, he is a multiple competition winner, performing solos with various bands across the country. "Right from opening the case I was amazed at the size of the tuba. The tuba can only be described as a larger looking euphonium. You’d expect the size of the tuba to have a relatively small sound, however through shock, the tuba had a dark sonorous sound. I was immediately impressed. The first thing any brass player does before they try a new instrument is wiggle the valves. The valves were slick, fast and silent. The production is immediate and clear. The intonation and response through the natural tone rows is superb. In terms of weight and comfort, the tuba is a light and compact instrument that can easily be held and carried about. The tuba contains lots of great features. It can easily fit into a concert band, brass band and even chamber ensembles. I thoroughly recommend any intermediate player looking for a great instrument at a fantastic price!" 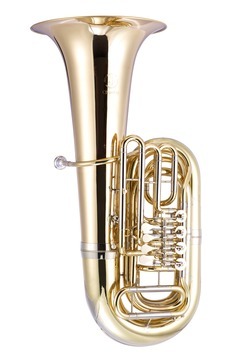 "The JP379CC is a beautifully designed instrument, based on the traditional German tuba. 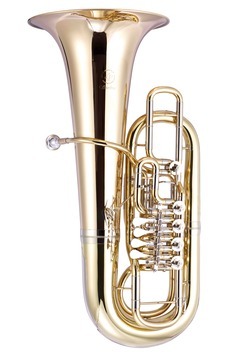 The tuba features a 17” bell for outstanding resonance with 4 piston valves and a thumb activated rotary valve. This is certainly one of the best CC tubas I have ever played, and to top it off, its amazing value. I cannot recommend this tuba enough. I’ll certainly be purchasing one over the next few weeks!" "From first gazing eyes on the instrument, I could immediately see how well constructed this tuba was. 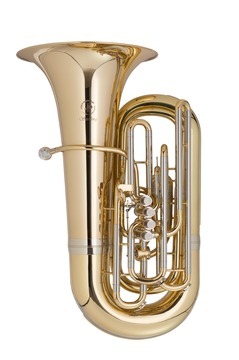 It is the type of tuba that feature 5 front action rotary valves, all of which combine to make the playing experience effortless and comfortable. From playing the first note, you can immediately hear sweetness, clarity and a clear focus in the tone. Right from the middle register this instrument can really project, and it sings absolutely beautifully in the higher register. It can also display a great foundation in any large ensemble with such a warm low register too. This tuba is absolutely perfect for any solo work, chamber ensembles, and even a symphony orchestra." "The JP377, a solid instrument featuring a large bore and bell that produces a dark, big sound with ease. The tuba is designed with a bore measuring 681”, which is excellent in providing quick response and a great level of intonation. The bell measures at 19 inches for outstanding projection and resonance. This tuba has a very well focused tone and intonation that can match many of it’s German competitors. An extremely versatile instrument, this tuba can fit in just about any ensemble, as well as performing a concerto in front of any large ensemble. A great buy for students and young professionals. " "The JP379BB is a beautiful instrument designed after the manner of traditional German tubas, and is modeled to resemble the early meinl weston tuba models.  The tuba offers players a unique sound experience that denotes the best of Europe’s designers. 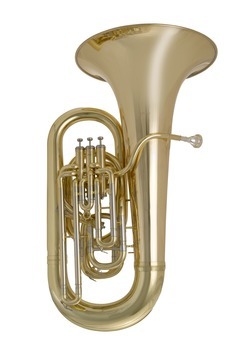 The tuba features a larger bore with 4 rotary valves built for excellent valve action and a superior sound output. The fact the tuba was modeled in line with German tradition, the sound quality it offers is truly outstanding. The tuba is well crafted to suit any playing. 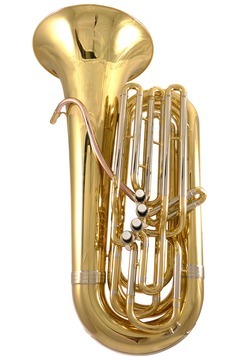 The tuba is extremely free blowing with a beautiful centered tone and fantastic intonation. This is another must buy for conservatoire students and professionals." Want to browse all the John Packer JP Tubas? Click here!